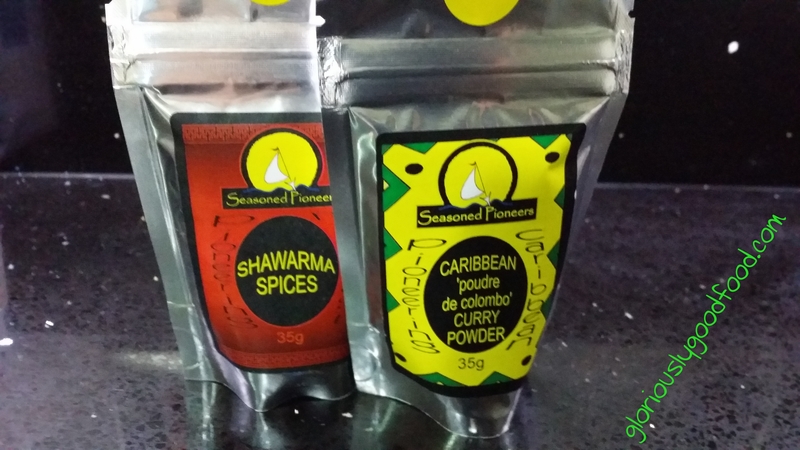 I was sent 2 spices sachets by ‘Seasoned Pioneers‘ for review. Although the sachets are quite pocket-sized, they’re jam-packed full of spices and even after I’d used the 4 teaspoons called for in the recipe, it hardly looked like the quantity had reduced. 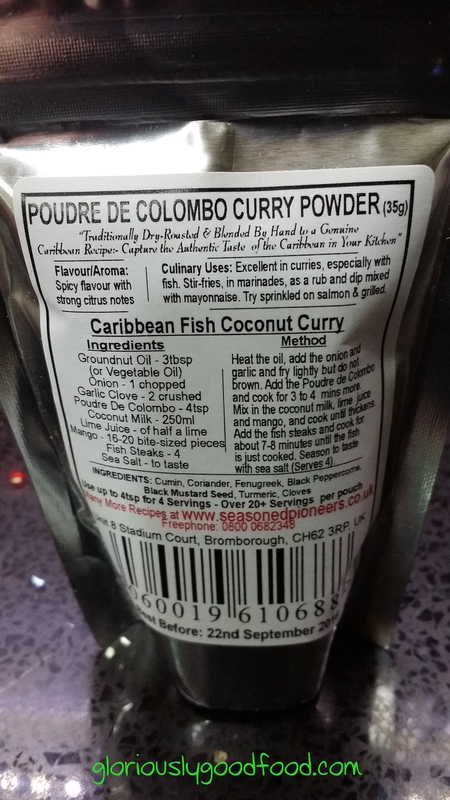 I decided to try the Caribbean ‘Poudre de Colombo‘ tonight and followed the recipe on the back of the pack. The recipe was very quick and easy to follow. We used halibut, which kept its shape well. The only change I would have made was to cut the fish into chunks so that it gets coated more in the sauce, rather than cooking it in whole steaks. In any case, it was mouthwateringly delicious and I’ll definitely be cooking it again! I can’t wait to try the Shawarma Spices! I wish I could give a balanced review by finding some points for improvement, but I can’t. 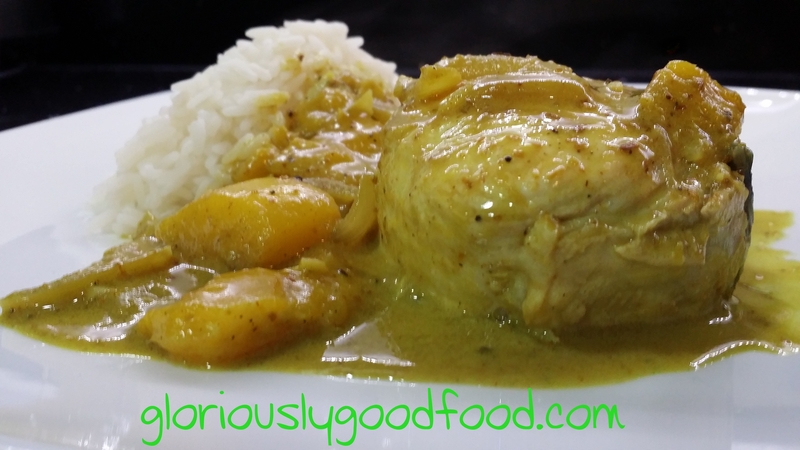 I absolutely loved the spice blend and the recipe. And at £2.50 per 35g pack I think they offer excellent value for money, too.